The M Word: Conversations about Motherhood (Goose Lane, 2014) features essays by Canadian women writers and artists, including author Carrie Snyder, poet Sarah Yi-Mei Tsiang, and musician Christa Couture. Understorey Magazine spoke The M Word editor and contributor Kerry Clare about what makes this book unique and riveting. Understorey Magazine: You write in the introduction to The M Word: “You might ask if the world needs another literary anthology about motherhood, and I would argue that it needs this one.” What makes this book different? Kerry Clare: The M Word examines motherhood and maternity through a very broad lens and includes experiences of motherhood that are often invisible—miscarriage, infertility, the death of a child, giving up a child via adoption—and experiences that are still taboo—abortion, maternal ambivalence, or no ambivalence about rejecting motherhood altogether. These stories are featured along with more typical but still complex stories of motherhood. The effect of this broadness, I think, is quite radical: Women with different experiences, voices, and perspectives co-exist in one literary space. This is a lot like the real world yet such a complicated, many-sided reality of motherhood (and womanhood) is not reflected in the media often enough. I do, however, see The M Word as part of a new wave of books that challenge simplistic ideas about motherhood and womanhood, works such as Meghan Daum’s anthology, Selfish, Shallow and Self-Absorbed: Sixteen Writers on their Decision Not to Have Kids; the anthology, How to Expect What You’re Not Expecting by Lisa Martin and Jessica Hiemstra; and One Kind Word: Women Share Their Abortion Stories edited by Kathryn Palmateer and Martha Solomon. The conversation is beginning to change. UMag: How did you find and choose writers for this book? KC: One doesn’t have to venture far to find a woman with an interesting story about motherhood! Many of the essays are written by friends and grew out of conversations we’d had even before the book was an idea. Approaching women I knew without children seemed like a more risky endeavour. Many of these women were friends or acquaintances too, but we’d never talked about why they didn’t have kids. It turned out that they also had stories they wanted to tell, and these stories were fascinating. So the book grew from my own community, and I then ventured further afield—approaching writers who were friends of friends and sometimes strangers—to add experiences I felt were missing. People were unbelievably generous and happy to become a part of the project. I find women tend to be like that…. UMag: Your book blurs the line between “breeders and the child-free.” And yet, as you point out, society still tends to categorize women—often we categorize ourselves—simply as mothers or not mothers. How did the authors respond to the idea of this book, especially women who had not previously written about motherhood? What kinds of responses have you had from readers? KC: My impression is that the writers were glad to have their stories acknowledged and included—particularly those with the “invisible” experiences I mentioned above. In particular, I found women struggling with infertility and miscarriage often feel so alienated and apart from motherhood (and sometimes from womanhood), but these experiences really are part of the same story. So too with women who choose not to have children: They’re often situated as a kind of “other,” and so I think it’s validating and essential for their voices to be heard. The response from readers has been tremendous: It seems to be a book that one reads, and then passes onto a friend. And I love that. It was just what I intended. UMag: All of the authors for The M Word are writers or artists, some emerging, some very well established. This thread, more than any single idea of motherhood, binds the book into a whole. There is a longing throughout the essays, a need to create. How do you think that creative pull influences women’s experience of motherhood—either their own motherhood or societal expectations of motherhood? KC: On the one hand, I would say that the creative pull complicates the experience of motherhood—an artist-mother has to make that extra space to get her work done, and that’s hard to do. On the other hand, I’m not so sure that artist-mothers are that different from everybody else. Art is work and everybody works. I once had a conversation with another writer about how perhaps we experience motherhood differently from other people—that as writers we feel the need to articulate all these impossible notions that motherhood presents—when another friend, an architect, interrupted to say that she thinks about space and design differently having gone about in the world with a child, with a stroller. I think that for any mother, there is a tension between her mother self and her other self, but there are also extraordinary ways each informs the other. Umag: Another alluring and very reassuring theme in the book is unexpectedess, that we can’t always plan our lives—much less our motherhood—with any precision. What surprised you most about this book? What did you learn about writing, publishing, motherhood, women? KC: The M Word affirmed to me that women are generous, supportive, and community-minded people. But I knew that part already! What surprised me about the book was how much sense it made to just let the essays flow in alphabetical order according to the writers’ last names rather than try to organize it by theme or subject. Women’s life stories really are complimentary and themes emerged in the book where I hadn’t expected. One recurring theme was doubleness, which is fitting, I think, for a project that’s seeking to disrupt binaries. None of us are ever just one thing. Nothing is straightforward. Umag: What’s next for you? KC: I’ve recently finished a first draft of a novel—a grown up version of Harriet the Spy—so we’ll see where that goes. I continue to do freelance writing and reviewing, to edit 49th Shelf, and to write about books and reading at my own blog, Pickle Me This. Plus, my daughters are turning two and six this year, and they’re funnier and more fascinating than ever, so I’ll be chasing after them. 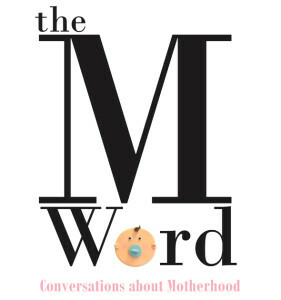 Kerry Clare edited and contributed to The M Word: Conversations About Motherhood, which was published in 2014 to rave reviews. Her essay about new motherhood,“Love is a Let-Down,” was shortlisted for a National Magazine Award, and appeared in Best Canadian Essays 2011. Clare's essays, short fiction and book reviews have appeared most recently in Joyland, The New Quarterly, the Globe and Mail, Chatelaine, and Canadian Notes and Queries. She teaches The Art of Blogging at the University of Toronto School of Continuing Studies, is editor of the Canadian books website 49thShelf, and writes about books and reading at her own blog, PickleMeThis.